NEW for 2019 is our most condensed 12-week Base Builder Training Plan for High Volume athletes. Complete with our updated Trainer Series Program & ALL NEW Strength Progression Program. You can easily reuse any of our plans year after year or anytime in the future! **Download our Excel Spreadsheet for daily details on sets/reps & your specific loads for the program by clicking 'paperclip' icon in upper right corner to download. Remember to "lap" your head unit for each interval so you can easily gather average powers for all four intervals. Does not download to ERG file. add this extra aerobic work on to the end of the first trainer workout. Take a short break to use bathroom, refill water, eat a snack between segments. *don't forget to stop & save your first workout file, before restarting a second file for part 2. Coach Cody is a USAT level 2 and USAC Level 3 coach. 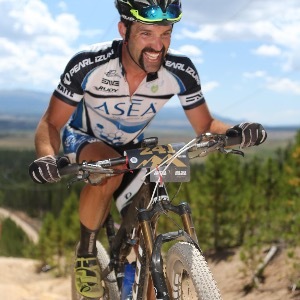 Through his training facility, Sessions:6 Sports Performance, located in Lakewood, Colorado, he has worked with hundreds of endurance athletes from across the country including: triathletes, cyclists, runners, and mountain bike racers of all ability levels. Cody has offered Personal Coaching, Custom Training Plans, and Stock Training Plans, Team Training Programs, Training Camps and sports conditioning programs since 2003.